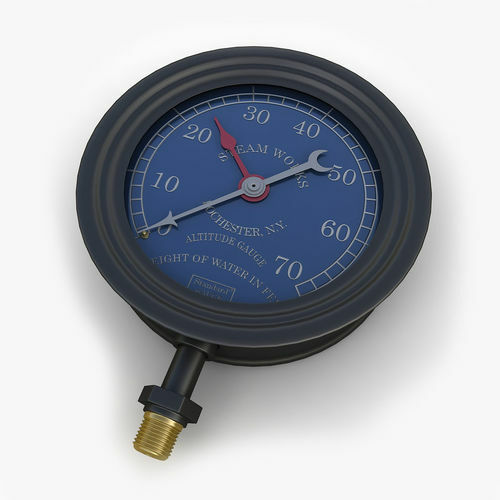 Vintage large steam pressure gauge 02 3d model. This is a tool (device) for measuring pressure of steam. Usually uses as a part of another machine or device. Polycount: nosub - polys 5166 verts 5212 1 sub - polys 41328 verts 20750 System units, metric, 1 unit =1 cm. Rendered with Vray on one subdivision, texture of pressure gauge scale included in to archives. Vray and standard versions of max file included, render scene and HDRI map - not included.